As soon as I touch down on swedish soil I head off to two shops. Acne on Norrmalmstorg for a wardrobe up-date and then to the health food store for several bottles of Pine Tree Drink for a health boost. 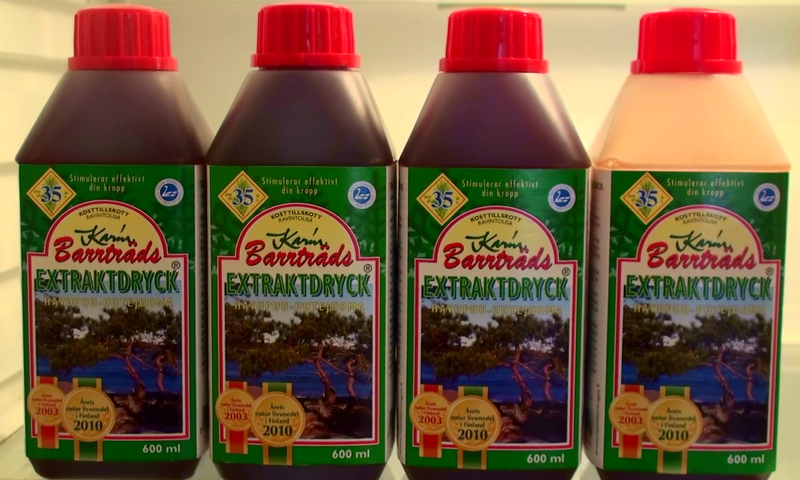 Pine tree drink is an amazing healing drink, made by mixing the inner bark of pine trees with spring water. Wise women and men have known about the healing powers of pine tree extract for hundreds, maybe even thousends of years and now the scientific community is catching on. The antioxidants are extra strong in the nordic pine, I’m sure it’s due to withstanding the nordic climate, which is not for the fainthearted tree! The drink looks like juice, but you are in for a shock if you expect sweetness! It tastes like nothing I’ve come across, slightly bitter but very fresh. I’ve never heard of eating pine! Is there any research out there about the benefits? Hi, Thanks for popping by! !